Patent attorneys, patent agents, invention promotion companies, online form companies and the USPTO are all available to help you go through the patent process. Each can help you with a different aspect of getting a patent and/or making money with your invention. Below is a discussion of the pros and cons of each group. The patent system is large and complex. Without competent guidance, most inventors who try to prepare and prosecute their own patents often fail because they might not even realize how narrow their patent is until it is too late. 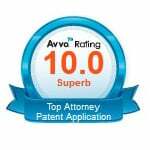 How a patent attorney can help inventors protect their invention? 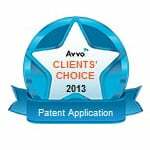 How to select a patent attorney? What are the limited ways that a patent agent can help inventors protect their inventions? A patent attorney can provide assistance with the patent process but not the business end of launching your new product or venture. Nevertheless, the patent attorney should be aware of the background of the business to provide optimal assistance with the patent process. Passed the Patent Bar as administered by the United States Patent and Trademark Office (USPTO). The advanced strategies of how to avoid infringement of the intellectual property rights including patent rights of others. Any communication with a patent attorney is also protected under an attorney-client privilege. This means that no court of law can force (i.e., subpoena) your patent attorney to testify against you. For instance, under California Business and Profession Code Section 6068(e), a patent attorney must keep your information confidential even if you do not have a written confidentiality agreement with your patent attorney. I understand the uncertainty and discomfort you have in selecting an attorney to represent you. I had the same feeling when I had to select an attorney to help me prepare my will and set up my family trust. Even though I received high marks in law school for my wills and trust class, they didn’t teach us the nuts and bolts of how to prepare wills and trusts. However, knowing the basic theory of wills and trusts helped me to select a great attorney that helped me with my family planning. The same is true with you. The more you know about the patent system, the better consumer of patent legal services you will be. I am a proponent that an educated inventor makes smarter decisions. This is the first step in selecting the right attorney: learn more about the patent system. 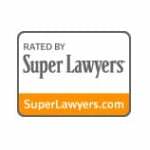 The knowledge that I gained from my wills and trust class helped me to select a great attorney. I know that if you know more about the patent process, you will be able to make better patenting decisions. Use the information in this blog to educate yourself about the patent process and to ask your patent attorney questions. 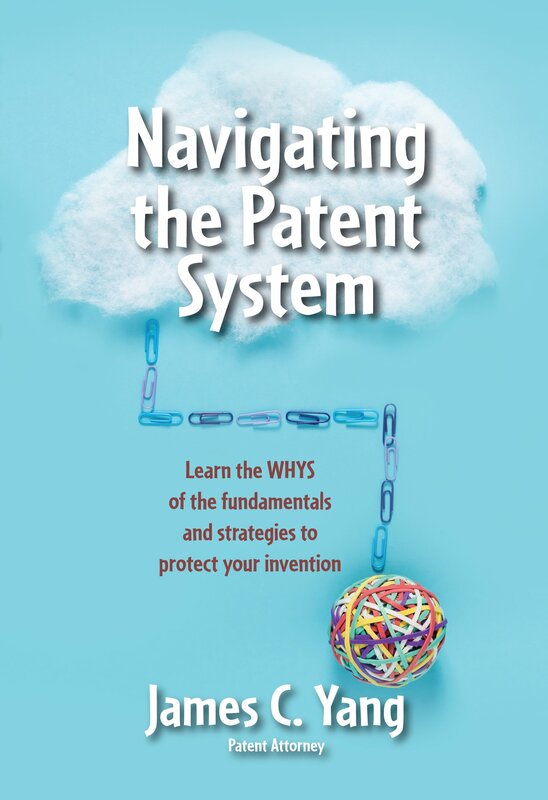 My book Navigating the Patent System is a good resource on the patent process and includes a great deal of the information that I tell my clients. Also, this blog has a significant amount of information that can give you insight into how to approach the patent process. Learn more about the patent system and process. The next step in selecting a patent attorney is to decide whether you want to have a large law firm, mid-sized intellectual property law firm or a solo practitioner represent you. Generally, large law firms are not needed for startups and inventors. It would not be a good match because of the high costs of retaining a large law firm compared to the value that they deliver. Large law firm are retained if the sheer volume of work could not be handled by a mid-sized patent law firm or solo practitioner, or you needed someone with a doctorate degree in your area of technology to understand, prepare and prosecute the patent application. For me, I chose not to use a large law firm when choosing my wills and trust attorney. The value of a mid-sized law firm is that the quality is generally equal to that of a large law firm. But, the prices are significantly lower. My firm is a mid-sized patent law firm. Check us out in the About section of this website. With solo inventors, you will find a large variance in quality and price for solo practitioners. Inventors are not fully able to determine the quality of the work product of a patent attorney because of the complexity of the patent system. However, inventors and startups have some other useful tools—online reviews, information that the patent attorney posts online, referrals from friends, family, business acquaintances, etc. 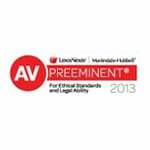 I reviewed my wills and trust lawyer online. You can view my testimonials and accolades. A patent agent can also provide assistance with the patent process. They are allowed to represent applicants before the United States Patent and Trademark Office only and only on matters pertaining to the USPTO. However, since many other issues arise in the effort to launch the invention, they will not be able to help you in those areas. Passed the patent bar put on by the United States patent and trademark office. Have NOT passed the State Bar in their local jurisdiction. They are not lawyers. 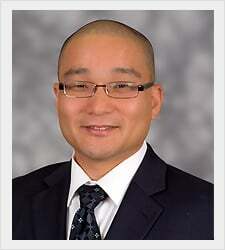 Because a patent agent is not a lawyer, a patent agent can assist you in limited ways. They cannot help you in all things that a patent attorney can help you with. If you retain a patent agent directly, then your interactions with the patent agent is protected in some but not all ways with respect to the attorney-client privilege and duties of confidentiality. These extra protections that you receive by working with a lawyer are crucial during litigation. Although no one wants to litigate a patent because of the expense, we must prepare for it because when your business is very successful, you want to have the assurance that your communications with your patent attorney cannot be discovered by a subpoena during litigation. Some of the ways that a patent agent can help is with a novelty search and prosecution of a patent application at the USPTO. Beyond this, the legal landscape as to what they can help you with is unclear because the law is still unsettled as to whether your communications are privileged and confidential. Can a patent agent help you with design around options to avoid infringing another’s patent? Can they help you with responding to a cease and desist letter? Based on my understanding of the law, I do not believe so. When they give you their opinion beyond what they are permitted to do, then they would be engaging in the unauthorized practice of law. What they can help inventors with? The basic issue that I have with patent agents, invention promoters (discussed below) and online form companies (discussed below) is that they often times try to make themselves look as if they can do the same things that an attorney can do. They will not claim that they are attorneys but they do, in my opinion, venture too close to providing legal advice. If the advice was good and solved the client’s problems, that would not be so bad. However, I’ve seen some horror stories and just plain bad legal advice with these non-attorneys helping inventors. The bottom line is that you should be careful when you get help with protecting your invention with a patent. 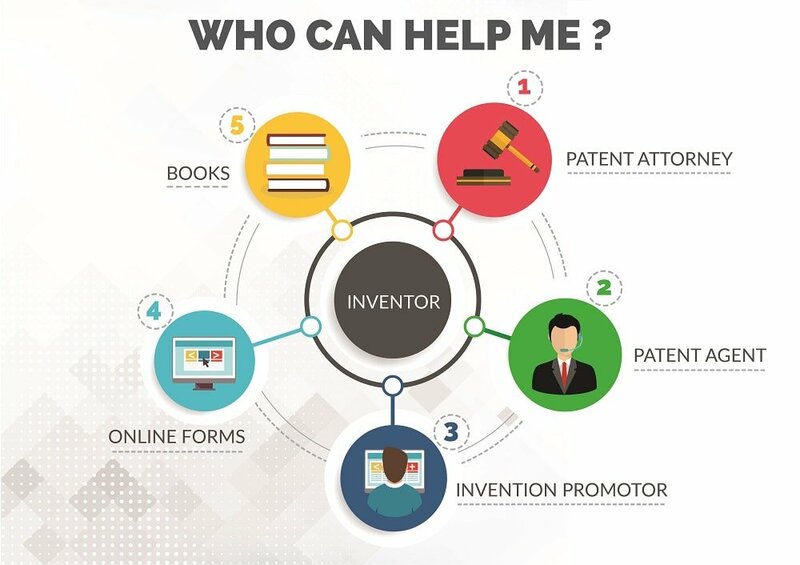 An invention promoter can provide assistance with the patent process in terms of coordinating the patent efforts with a patent attorney or patent agent. However, they cannot provide any legal advice or assistance with the patent process itself. Invention promoters claim to help inventors with market analysis, prototyping and design and development of the invention. They also claim to help with the patenting and licensing of your invention. Unless they are a patent attorney or agent, they cannot provide legal advice in relation to the patent process and licensing. They can coordinate efforts to help you retain a patent attorney but the attorney is the one that will represent your interests before the USPTO. Furthermore, the Federal Trade Commission (FTC) and the USPTO have published information on invention promotion companies and what to be aware of if you do decide to retain one. You can find additional information at Scam Prevention webpage at the USPTO to help you avoid scams from unscrupulous invention promoters. If you have a complaint against an invention promoter, use this Complaint Regarding Invention Promoter form. In summary, please be aware that an invention promoter does not help you in the same way that a patent attorney does. These guided forms provide minimal assistance with the patent process. Some online companies attempt to help you prepare your own patent application through a series of questions. Perhaps, assistance is too generous of a word to describe what they do – they ask you stock questions. You provide the answers, which are then inserted into the correct section of a patent application. However, they do not provide any sort of personal assistance, nor do they seek to understand your business or situation to guide you in the right direction. Finally, they do not represent your interests before the USPTO. They may have a customer support desk that will help you understand the questions in the guided online process. If you are expecting them to understand your situation and provide a reasoned opinion based on the law, that is not what they can do. If you prefer to answer a few questions and plug those into the right section, you can probably do just as well by buying some books on the patent application process. 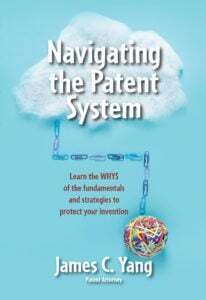 My book Navigating the Patent System has an entire section of the approach that I use to write a patent application. See also Anatomy of a Patent Document to see all of the sections of a patent application. Additionally, Nolo has an entire series: Chapter 5 of Patents for Beginners; How to Make Patent Drawings; Chapters 8-10 of Patent-it-Yourself. The United States Patent and Trademark Office provides a great deal of asssitance with the patent process. They provide online information and webinars to help inventors through the process. They have an interest in making the patent process more accessible to the public. However, they will not represent your specific interests. Patent Tools and Links: If you have any desire to go through the patent process without the help of a patent attorney, then this is a great place to start. You should also read Sections 700 and 2100 of the Manual Patent Examining Procedures. Warning: For the do-it-yourself inventor, I want to let you know that just because you were able to get your patent on your own without the help of a patent attorney doesn’t mean that your patent is valid. It is true that the USPTO examines your patent application to see if it meets the minimum standards for patentability. However, they don’t scrutinize every aspect of it. Unfortunately, when you try to enforce your patent against a competitor, they will exploit the problems with your patent so that they can avoid patent infringement liability. Many problems with patents are sometimes only discovered later on when you try to assert it against a defendant and they figure out a way around your patent. I also want to let you know that just because you retained a patent attorney to do the work for you doesn’t mean that your patent is guaranteed to be valid. In my experience, as I’ve reviewed a number of patents, the quality of a DIY patent is both much lower in quality as well as easier to design around. Consult with your patent attorney about these issues so that you don’t waste your time and money. Internet research is great. However, the problem with website content is that they are generally geared toward attracting website traffic. They are not designed to provide a comprehensive overview of a topic. In other words, they are designed to provide and search engine optimized to help you find what you want and not necessarily what you need to know. Nolo Press has other books on the preparing the patent application, drawings and conducting the novelty search. Patents for Beginners; How to Make Patent Drawings.